This one is definitely the most dressy and best fits my personal style. 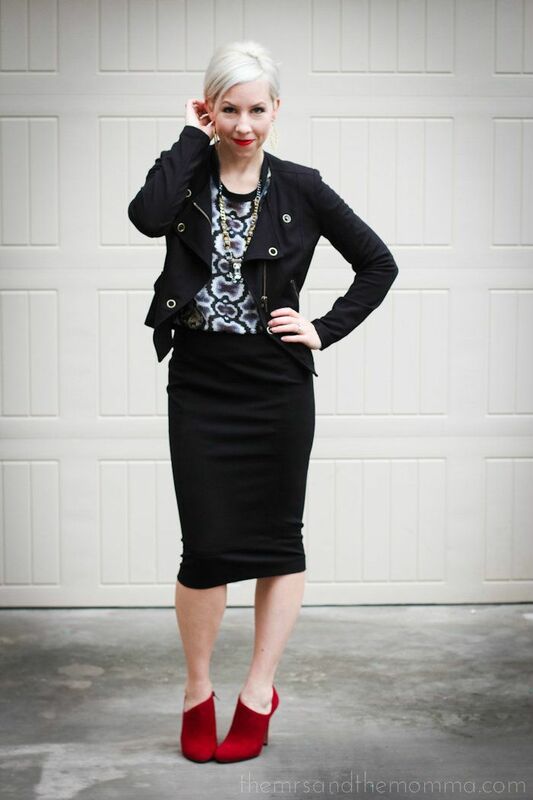 While I love all three of the outfits I've styled (and will wear the heck out of all the pieces), I think I'd lean toward this one more often than not. Well, because black is the still the new black for me. Also, there's snakeskin. And an edgy vibe with ponte knit...I mean, what more can you ask for? And it's what I'm wearing to Blake's office Christmas party, by the way. If you've seen something here over the past few days that you could see yourself wearing, I implore you to check out CAbi. I know this sounds like a blatant plug, but I truly mean it. Nine times out of ten when some one asks me where I got a piece of clothing I'm wearing, my answer is always CAbi. I think my favorite thing about the brand is that pieces from each season can not only be paired with each other (capsule wardrobe), but can pair perfectly with an item several seasons back....which means your "working closet" or "remixability" is multiplied. Makes getting dressed so much easier and fun! 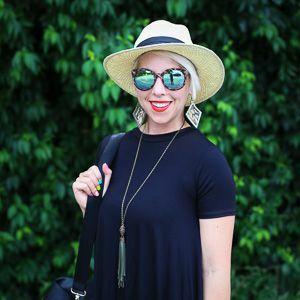 >>>Psst: The #BestOfFridayStyle link up will be up tomorrow at 12AM CST...and I'm off to see Justin Timberlake!!!! This is so cute and wearable. I love the shoes and red lip color. You look beautiful, perfect for the holidays! Love this outfit! 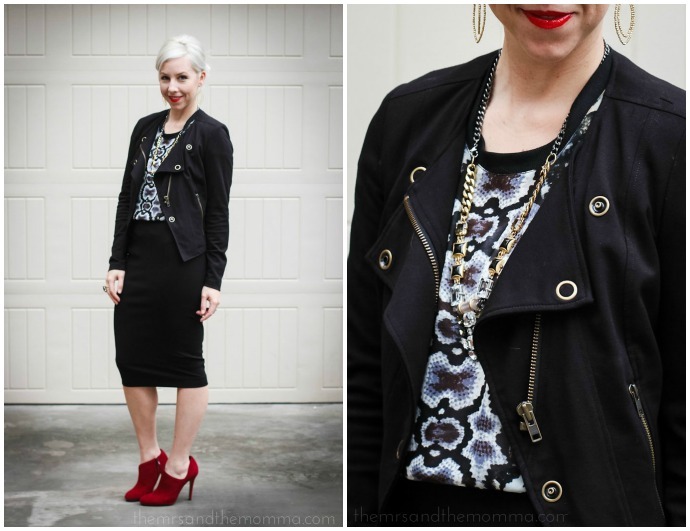 Love the snake print-I'm totally feeling that right now, and the pop of color on the booties! I love this length of skirt with booties, especially since I'm on the shorter side!